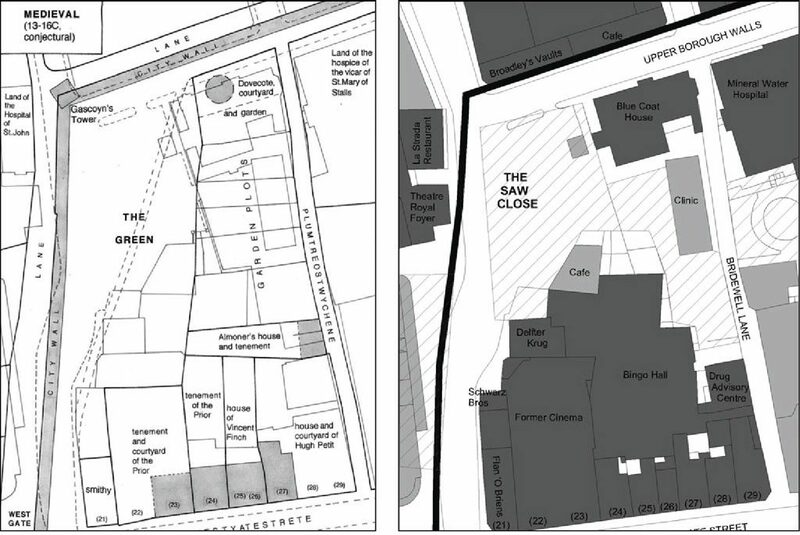 The Saw Close area has a long and complex history, with evidence of high-status Roman buildings with mosaic floors found beneath Blue Coat School, the Mineral Water Hospital and Westgate Street. The site lies in the north-western corner of the medieval town, the walls of which are believed to take their line from earlier Roman defenses. The present street layout is believed to have been established much later, in the 9th century. Saw Close itself was an open space, utilised for timber processing from the medieval period until the 18th century, and was also known as Timber Green for this reason. It was subsequently used for agricultural markets. 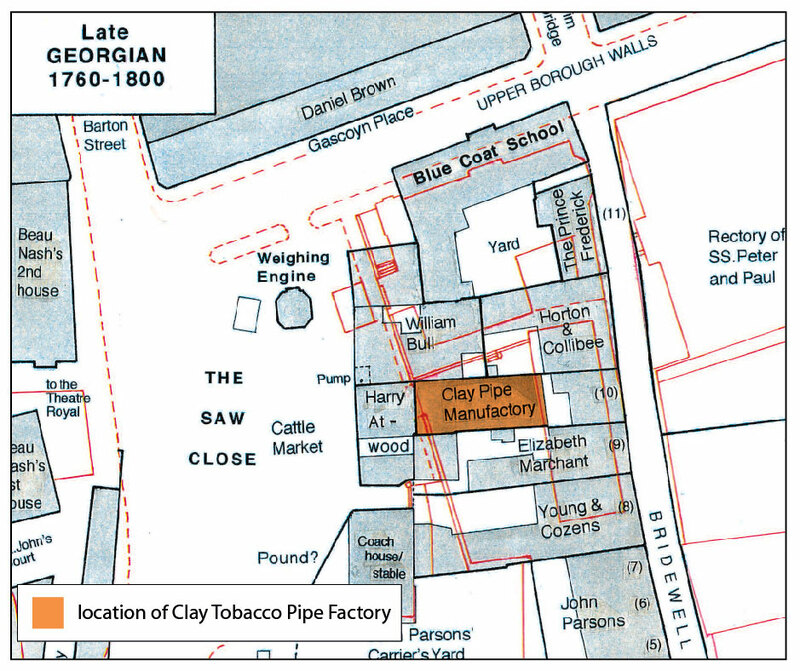 In 1782 a clay tobacco pipe factory was built at 10 Bridewell Lane. It was run by Joseph Smith, who had several kilns working on the site, but probably not those revealed during the archaeological excavation in 2015. 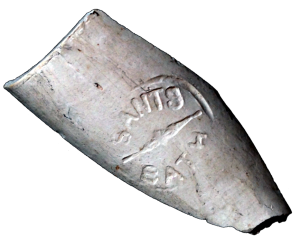 In 1810 the factory was acquired by another pipe maker, James Clarke. The factory was run by Joseph Sants from 1835 until it was eventually forced to close in 1851. It was demolished in around 1859 to make way for a playground for Blue Coat School. An archaeological trench dug in 2011 located two pipe kilns and over 4,000 pieces of clay tobacco pipe, including pieces bearing the makers’ names of Smith, Clarke and Sants. Most of the buildings that now remain bear testament to the development of the area as an entertainment quarter from the 19th century onwards. The buildings include a former cinema (now the comedy club) and a theatre known originally as The Bath Pavillion, later as the Lyric Theatre, and eventually the Palace Theatre, before it it became a bingo hall.